By default, Excel’s Developer tab is hidden away in the program’s settings, but turning it on is just a few clicks away. The series of tools may be daunting at first, but grasping the way they work can save you a lot of time in the long run. Open the Customize Ribbon tab. On the right under Main Tabs, make sure that Developer is checked. You should now see the Developer tab in your Excel menus. So what do you need the Developer tab for? The Developer tab is home to macros that you can use to automate repetitive tasks like sending emails from an Excel spreadsheet How to Send Emails From an Excel Spreadsheet Using VBA Scripts How to Send Emails From an Excel Spreadsheet Using VBA Scripts Our code template will help you set up automated emails from within Excel using Collaboration Data Objects (CDO) and VBA scripts. Read More or automatically inserting text strings. 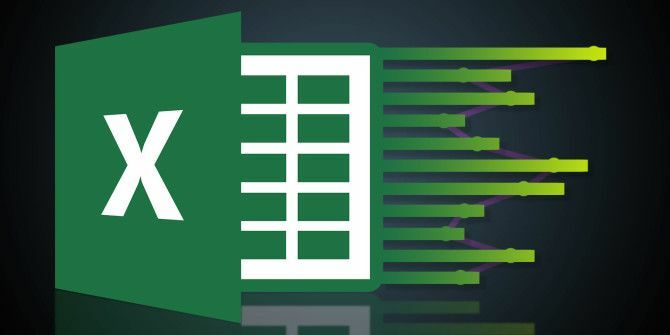 Using the Developer tools will require a little bit of coding knowledge The Excel VBA Programming Tutorial for Beginners The Excel VBA Programming Tutorial for Beginners VBA is a Microsoft Office power tool. You can use it to automate tasks with macros, set triggers, and lots more. We'll introduce you to Excel visual basic programming with a simple project. Read More . And it’s not all serious work too. You can use these features for some pretty fun and unexpected things 7 Fun & Weird Things You Can Create With Microsoft Excel 7 Fun & Weird Things You Can Create With Microsoft Excel Imagine Excel was fun! Excel offers plenty of scope for projects that go beyond its intended use. The only limit is your imagination. Here are the most creative examples of how people are using Excel. Read More like creating a Sudoku came right there in Excel. Do you use Excel’s Developer tools? If so, what do you use them for? Let us know in the comments.